“Hare scramble is a form of off-road motorcycle racing that varies in distance and time, with the riders completing multiple laps around a marked course through wooded or other rugged natural terrain. The overall winner is rider who maintains the highest speed throughout the race”. I’ve competed in the NCHSA Series for the past four seasons and have won two points championships during that time, most recently in the Mini B class. I have run a more limited GNCC schedule for the past two years. This year I ran six GNCC races with an average finish of 10th (10.3 to be exact) and one 5th place finish. You can view my record here. 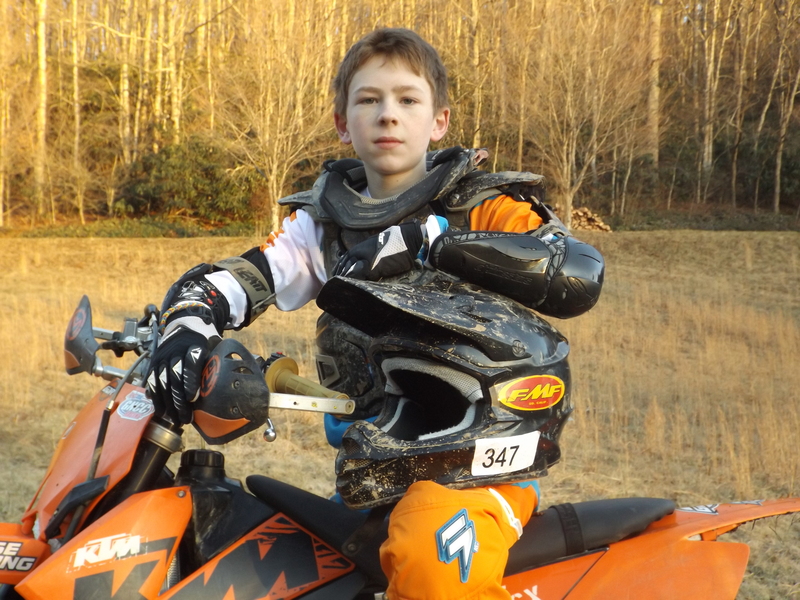 I’m training hard and saving/raising money to run the full GNCC schedule during the upcoming 2014 season. So, come along with me on my journey this year!